Discover Beauty & Health Secrets of Asian women! This Friday is the start of the lunar New Year and although I am a FOODIE I am also in Beauty and LOVE sharing my passion! I love to eat,cook and makeup.So this year I am sharing some beauty and not food recipes. My favorite places when I travel are the various neighborhoods I especially ADORE exotic Chinatown. I find there is such a mystique about Asian women and how they look…even in their golden years. On a personal note as an all American girl who just happens to be of Chinese and Polish ancestry I can truly relate to the mystery as well. Growing up I often wondered what was the white yet translucent block of face powder? 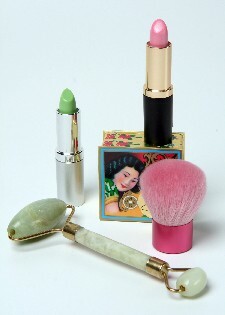 The exotic bamboo face brushes? What were the vials or mini bottles they would drink? The unusual food with both salty and sweet taste and the unique fruits and vegetables. As time went on I learned there is a reason for everything and every product. I too began using these beauty potions and to this day, still do. Celebrities are all about the secrets from the Orient too. So can you! I am delighted to share some notable beauty secrets that you can start using in your beauty regimens too if you would like. Asian women I have interviewed from China to Japan all agree they were told to stay out of the sun. If they were in the sun for work or errands they wear large straw hats and some even go as far as wearing white gloves. Most Asian women freckle easy and do not like sunspots. Tea is an everyday beauty ritual. All kinds of tea from white tea to oolong tea. To fight off cancer they love green tea. To give them energy and stamina ginseng tea. There is even a tea for inner cleansing and detoxifying tea. Note: They customarily do not use sugar or sweet and low in their tea. Did you know that tea also freshens breath and keeps your gums healthy too? Allow me to turn you on to a delightful type tea. Jasmine tea is both delicious, smells and tastes divine. You must try it. Rice is a favorite food in their diet as well. It fills you up faster and low in fat. so you tend to eat less. Soups as main meals are another way to eat and stay trim. They fill the bowl with chicken or beef stock and toss in fresh veggies. What a delightful explosion of tastes! Ginger is revered by many cultures. The Chinese use it to aid digestion, treat stomach upsets, and revitalize the skin and to relieve diarrhea and nausea for more than 2,000 years. I recommend you make a tea out of it. Simply cut a few slices of it and pour boiling hot water over them. It will calm your tummy down. It is also wonderful to cook with. Ginseng is an excellent supplement to improve your energy levels and mental alertness. It is also used to help lower cholesterol levels. 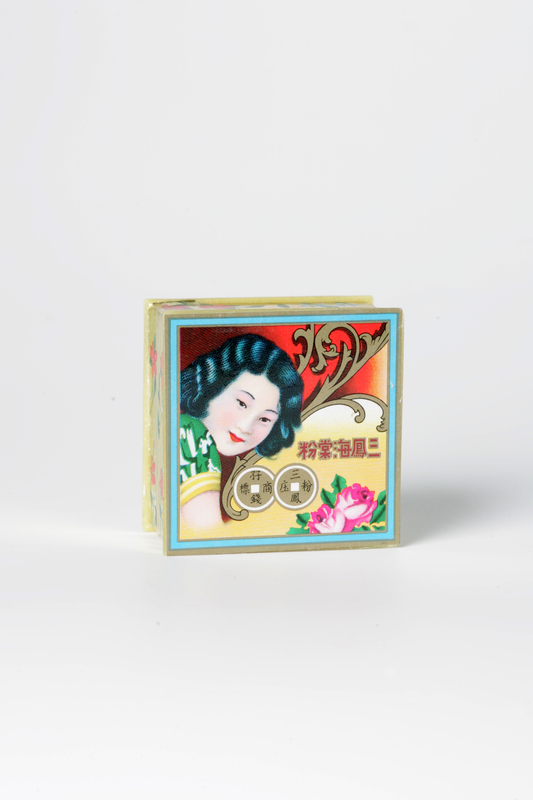 Jade Face Skin Smoothing Roller: Asian Royalty has used it for years. Excellent when rolled unto the face for revitalizing the skin by bringing the blood to the surface. Also is very relaxing. One side is for eyelid area and other side for face. You have to feel it to believe it’s magic. I am addicted. Pearl Cream is a beauty must have. To this day Asians use this ant-aging ancient secret cream. It is made of crushed pearls and other emollients. It’s opaque in color and melts on your fingers when applied to the face and becomes translucent. It helps brighten the complexion by lightening sunspots and keeps the skin moist and hydrated. It smells as if you visited a flower garden. Day Spas all over the globe offer luxurious PEARL facials that brighten and condition the skin. It also comes in a powder to go version. A little notebook of 70 papers come to this business card like booklet. It powders the face as well as blots oil. They are called Asian Powder Papers. Shark fin supplements and other herb shop potions are recommended to keep their fountain of youth. Even the celebrities are doing it. They say Nicole Kidman the actress takes them to keep her skin looking gorgeous and younger looking. Dragon fruit: As argon oil is the new buzz in skin care so is the dragon fruit for our skin cells. This pink delight does wonders for the complexion when added to skin care. I love to eat it by itself. Take a cup of rice, rinse gently. Next pour the rinsed rice into a clear small bowl with enough water to cover it. Wait until a milky residue appears. This is your facemask. On a clean face, place the milky watery solution from the rice on your face with a drenched cotton pad. Let it dry. Rinse with a luke warm washcloth and warm water. You will feel so refreshed and your skin will feel like silk from this facial smoothie. looking at your tongue and into your eyes recommends medicine for you! Your fountain of youth and energy is at your fingertips. Chinese New Year is approaching and you do not have to be Asian to celebrate the beauty finds, food finds and healthy tips. Life is an adventure…explore beyond your door!Got a beauty question on the above? Email me. See me on TV today at http://www.wjxt.com. I’ll post the link later today.